Honey, particularly in its raw form, offers an extensive range of surprising benefits. This sweet nectar has long-been valued as a natural sweetener, long before sugar became widely available in the 16th century. Today, while the average American consumes only one pound of honey each year, they consume more than 150 pounds of refined sugar on top of another 62 pounds of high fructose corn syrup per year. But research shows that decreasing or eliminating refined sugars, and using a moderate amount of pure raw honey instead can offer incredible benefits to our health and general well-being – not to mention the beauty benefits it can provide too. Raw honey that’s been produced locally is known to be especially effective for alleviating allergies. Local honey is recommended as the pollens that are most common in a particular area are present in honey purchased locally. When flying from one flower to the next, the bees become covered with pollen spores, and those spores are transferred to the honey they produce. Consuming it then helps one build up immunity to what’s encountered in that environment. A recent study also backs this up, finding that patients who had been diagnosed with a birch pollen allergy were able to reduce 60 percent of their allergy symptoms as well as decrease days with severe symptoms by 70 percent by consuming the honey during birch pollen season. Honey has been called an “all-natural energy booster.” Kansas City Royals’ sports dietician Mitzi Dulan, RD, CSSD, shared her strategies for using honey to beat an afternoon slump with Active.com. One easy way to use it, she recommends, is to add a tablespoon of honey to 8 ounces of water – making a budget-friendly energy drink that’s simple to put together on the go. Women, in particular, can sometimes suffer from hormone-related intellectual decline during post-menopause, but because pure raw honey is chock-full of antioxidants, it may help prevent cellular damage and loss within the brain. One study, published in 2011 in Menopause, revealed that just a spoonful of Malaysian honey each day could boost the memory of post-menopausal women. After four months of a daily dose of 20 grams of honey, the women were found to be more likely to have better short-term memory as compared to those who took hormone pills. Another study out of the University of Babylon, College of Medicine, Iraq found that honey’s potent antioxidant and therapeutic compounds were able to prevent cognitive decline and dementia, as well as enhance the cholinergic system and circulation of the brain. As honey offers natural antimicrobial properties, it can also be used to treat wounds and burns – in fact, its use for this dates back thousands of years. Those same properties allow it to last an incredibly long period of time – so long, that it was even discovered, unspoiled, in the tombs of ancient Egypt. 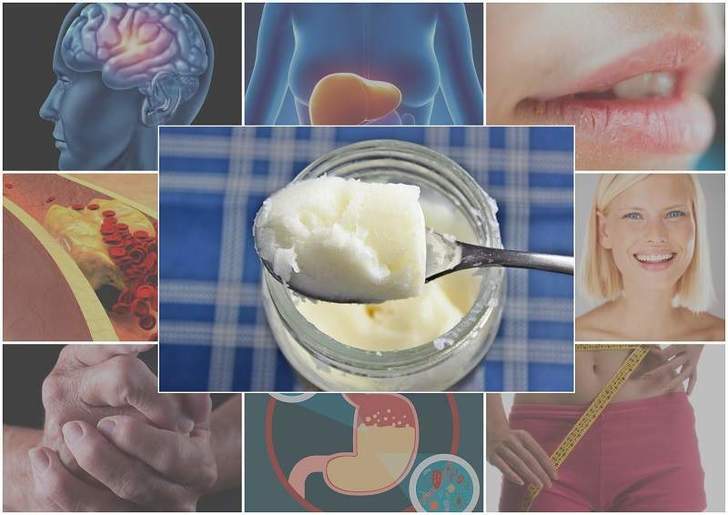 It works as a natural antibiotic, internally and externally. A study published in the British Journal of Surgery showed that when honey was applied topically, all but one of patients who were suffering from wounds and leg ulcers exhibited remarkable improvement. Researchers stated that 59 patients with wounds and ulcers had failed to heal with conventional treatments and were treated with the unprocessed honey. Fifty-eight of those then experienced dramatic healing results. Honey is often touted as a natural cure-all for a cough and cold, and science backs up what most of us already know. 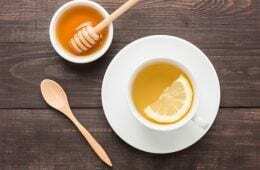 If you have a persistent cough that won’t go away, it can be remedied with just a couple teaspoons of honey, researchers say. 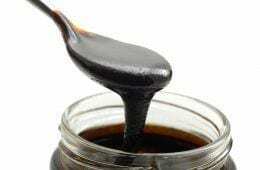 The 2012 study published in the journal Pediatrics, found that when children, aged one through five years old who were suffering from a nighttime cough due to a cold, were given two teaspoons of honey a half-hour before going to bed, they coughed less frequently. Experts believe that its honey’s thick consistency that helps to coat the throat, combined with its sweet flavor, working together to trigger nerve endings which can protect the throat from an unrelenting cough. In fact, they say it’s so effective, it works just as well as the common cough suppressant ingredient known as dextromethorphan. You can make your own natural cough syrup using raw, local honey by adding ¼ cup fresh ginger root, ¼ cup marshmallow root, one tablespoon cinnamon and a quart of filtered water to a pot and bringing the mixture to a boil. Once it’s boiling, reduce the heat to a simmer, and continue to simmer until the mixture is reduced by about half. Pour it through a fine-mesh strainer or cheesecloth to remove the herbs. Once the liquid has stopped boiling but is still warm, add in one cup of raw honey, a tablespoon of lemon juice, stir well and store in an airtight container in the refrigerator. Surprisingly, this sweet natural nectar is even said to be a simple hangover cure. It’s acclaimed by scientists for its ability to help the body break down all of that alcohol you consumed and are probably regretting big time when your head is pounding the next morning. Dr. Merle Diamond, a physician and the president and managing director of Chicago’s Diamond Headache Clinic, says that consuming honey before drinking alcohol might just help you avoid that headache altogether, as its fructose content competes with the metabolism of alcohol. Honey can also help one get a better night’s sleep. Like sugar, it causes a rise in insulin and triggers serotonin, that hormone familiar for improving one’s mood. The body converts serotonin into melatonin, the chemical compound responsible for regulating the quality and length of sleep, according to registered dietician and lead dietitian nutritionist at Seattle Sutton’s Healthy Eating. Honey might also work to aid sleep as it contains tryptophan, that famous amino acid associated with turkey, known for making one sleepy after a large Thanksgiving meal. The rise in insulin caused by eating honey, leads to the tryptophan in honey to enter the brain, where it’s converted into serotonin, and then melatonin. Using pure, raw honey on your face can help clear your complexion when used as a face wash. It’s well-known for eradicating acne and relieving many other types of skin problems. Use it to wash your face by diluting it with water, and to clear stubborn acne by dabbing a bit of honey on any pimples that you have. Afterwards, put a Band-Aid on each one, and allow it to sit for 30 minutes before removing and rinsing. If you’ve got dandruff or other scalp issues, including seborrheic dermatitis, honey can offer at least temporary relief. A study published in the Journal of Medical Research found that applying honey that’s been diluted with 10 percent warm water to affected areas, and allowing it to be absorbed for three hours before rinsing, was able to provide relief to that incessant itch – and relieve scaling within a week. Some patients were also found to show an improvement in hair loss. The experts say this is all thanks to the antibacterial and antifungal properties of honey as issues like dandruff are typically the result of an overgrowth of fungus. We are delighted to announce that we have teamed up with Thrive Market to offer Natural Living Ideas readers a free jar of Really Raw Honey containing pollen, propolis and honeycomb. All you need to do is pay $1.95 shipping and handling. Claim your free jar here.